A 16-year-old boy is in a serious condition in hospital after being stabbed in the stomach. 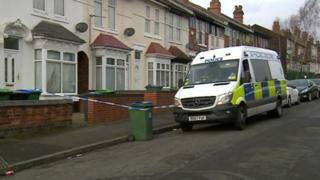 The teenager was discovered by West Midlands Police officers shortly after 16:00 GMT on Sunday. He was found on Oxford Road, Smethwick, with a knife wound to his stomach which police said was not believed to be life threatening. A 40-year-old man from the area was arrested at a nearby address on suspicion of wounding.